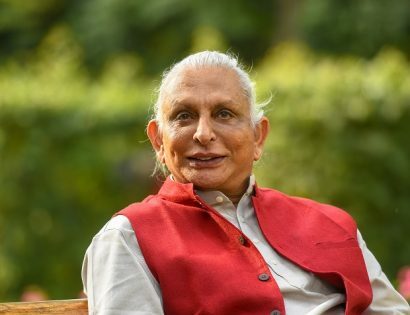 This house hosted a Satsang with Sri M once. Blessed with two monsoons in a year, Kerala experienced catastrophic rains in August 2018 – the most in almost a century. This threw normal life out of gear in most regions of the state. Offers of help, along with material supplies, came from all over the world.Relief material and support were in abundance with many Gulf expats presentat home for their annual holiday. 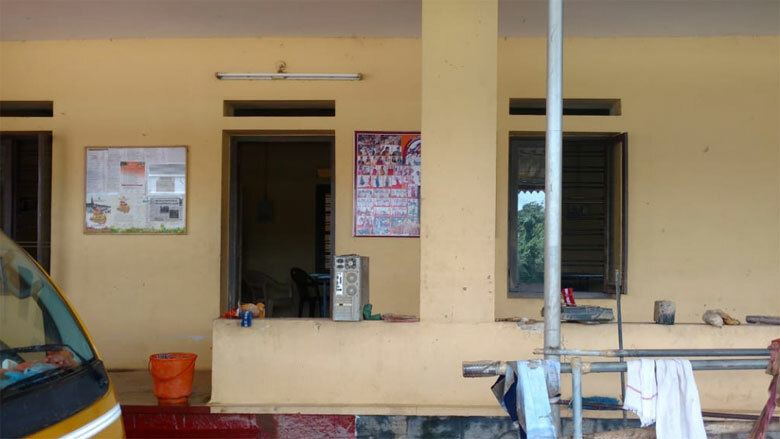 However, the distribution and communication network was a bit chaotic with a large number of volunteering and Government agencies engaged in the rescue and rehabilitation efforts. After the initial few days, when news started pouring in and relief camps were being set up, the Kerala Kendra with its volunteers joined in to help, wherever possible. Initial support came in the form of baby food, diapers, water purifiers, etc. It was soon realised that such material was in excess supply in the relief camps. The Kendra decided to shift their focus to the next stage – rehabilitation for people who started returning to their homes. The wells, the primary source of fresh water, were found to be unusable due to flooding. Once the waters receded, a recce was done in Chengannur, Alapuzha district, one of the worst affected regions. 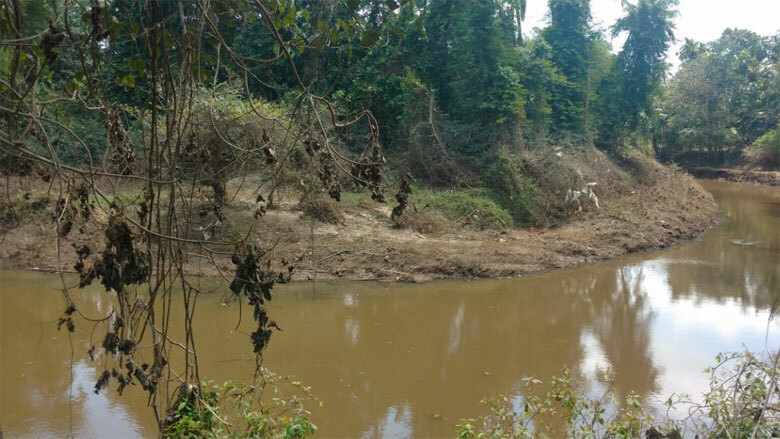 The team realised that certain areas like Arattupuzha and Aranmula, situated in higher elevations,could be cleaned up. 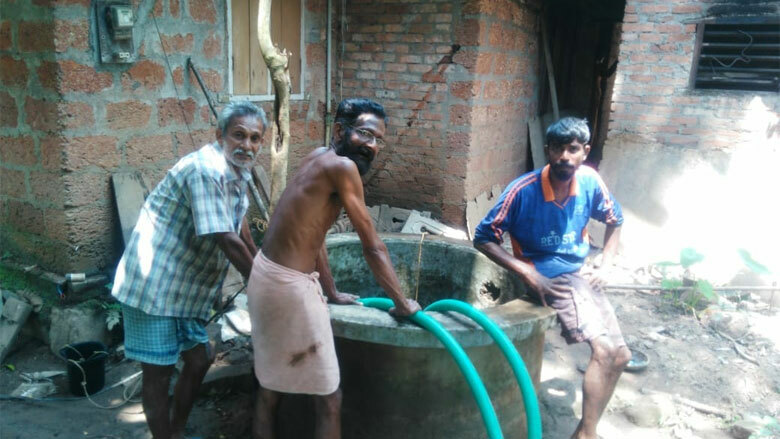 On August 25, a small team started working alongside hired labour with the assistance of two high-power 3HP water pumps, submersible pumps, and a generator. Soon, volunteers from local groups started joining in. In ten days, they cleaned up more than a 100 wells. Two weeks later, they moved to Pandanad, a low-lying area where water drained out much later. It was risky as the water pressure around wells was high and chances of the ground caving in, when drained, was high. Work is still continuing in this area with volunteer and local support. 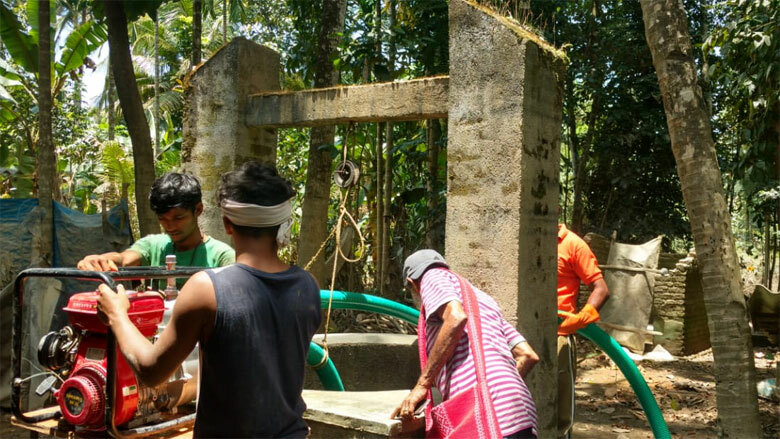 Last week saw a group of volunteers cleaning wells at Chendamangalam, near Cochin. 25 wells have been cleaned till now. 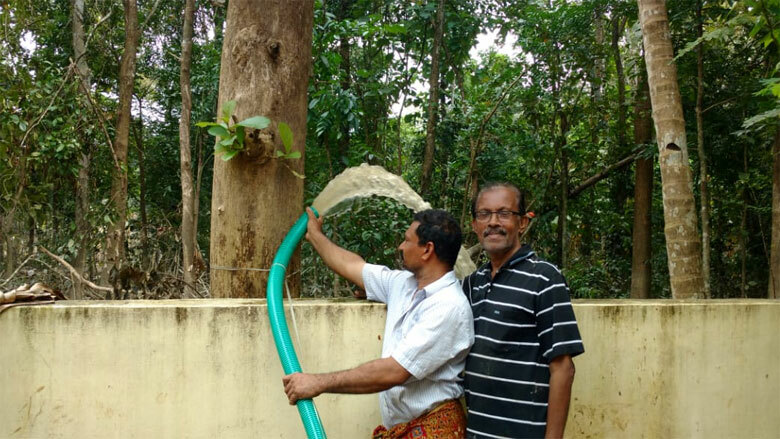 This is a long-term program needing months and the Kerala team will focus on this initiative until completion. Help poured in from other Kendras as well – Mumbai and Delhi. The Mumbai Kendra coordinated the supply of a powerful pump to help drain the flooded areas and houses, apart from wells. 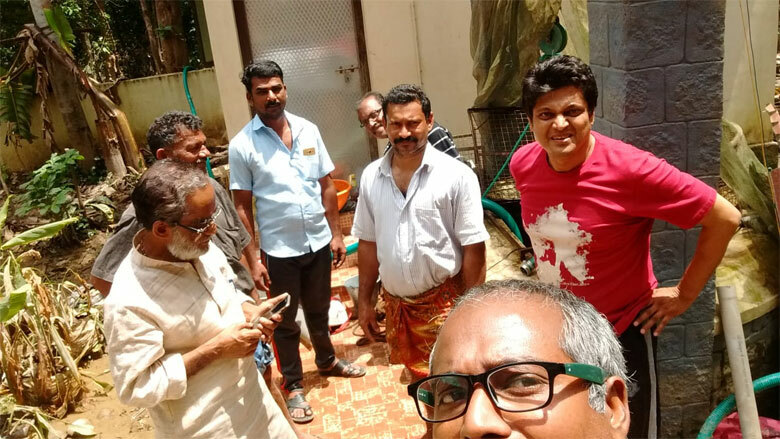 A volunteer from NCR helped the Kerala team put together a proposal to the Government of Kerala for management of plastic waste, including non-recyclable elements. The proposal has been since forwarded to the Kerala Government. The Kerala Kendra profusely thanks all the people who extended their support to the state in the hour of crisis.